How to tour Ireland in a Week. We believe that you want to maximise your vacation time ensuring you tour as much of Ireland as is possible in a week. We can customize your itinerary to fit your timescale and interests. As you have your own private driver/guide, the pace of the travelling can be adjusted to your requirements. We at Atlantic Way Chauffeur Tours believe you do not need to be in a car or bus everyday of your vacation. We design tours to boost your time, typically arranging of 3 base towns. Thus allowing you and your party to explore the local area using the local tour companies also. This keeps your cost at a manageable level and gives you the down time you need to fully relax on vacation. Please get in touch and we will help recommend your itinerary giving you options on tours that ensure you maximise your vacation goals. We can also advise on places to dine along your trip. We will provide a driver/guide for every day of your tour if that is your preference. To tour Ireland in a week, we can design your tour that you have your private driver/guide for 4 days of the tour. Below is a suggested itinerary that can be customised in advance to suit your preference. Relaxation time and recovery time without a driver. Sample Temple Bar and other local venues in Dublin. Killarney – 3 nights 3 days. Touring with driver from Dublin to Killarney visiting many attractions such as the Rock of Cashel, Blarney Castle and Cork on route. The Gap of Dunloe where you travel up into the mountains on a horse drawn jaunting cart. This is an unique experience you won’t want to miss with a great photo opportunity. Then travel back down on the lakes by boat using a local tour operator. 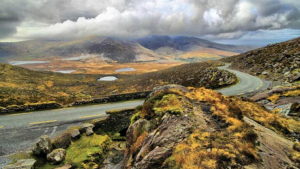 Touring the magnificent Ring of Kerry with your private driver. The Ring of Kerry has amazing scenery and breathtaking views. Our drivers will ensure you won’t have to miss any of it watching the road. Galway 3 nights 3 days. Touring with driver from Killarney to Galway for visiting many attractions such as the Bunratty Castle, The Cliffs of Moher and The Burrren on route. 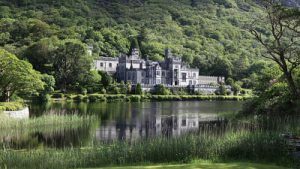 You tour to the beautiful Connemara National Park with you private driver visiting Clifden, Kylemore Abbey and all the many attractions on this amazing tour. The final day you travel back to Dublin on the train where you see parts of Ireland only visible from the train. You will have then managed to tour Ireland in a week.